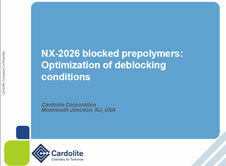 Cardolite® NX-2026 is a high purity cardanol, bio-based diluent, resin modifier, and accelerator designed for use in adhesives and sealants. It is based on natural, renewable, non-food raw material feedstock. Exhibits very low viscosity, low volatility, excellent water resistance and corrosion protection originating from its chemical structure, long hydrophobic aliphatic chain and aromatic ring. 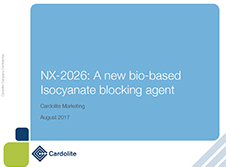 Cardolite® NX-2026 is suitable to be used as a diluent and an accelerator for epoxy adhesives and an isocyanate blocking agent. 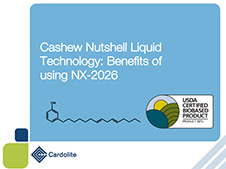 In adhesive formulation, Cardolite® NX-2026 can improve workability by reducing viscosity and help to achieve fast cure in solvent free formulations. 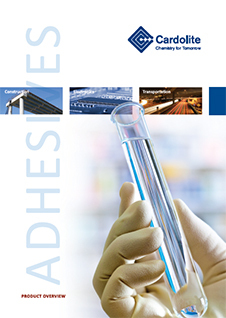 It is recommended for 2K Epoxy adhesives, pressure sensitive adhesive, hot melt adhesives for fabric lamination, 1K/2K epoxy-PU hybrid adhesive, wood/ paper adhesives and industrial adhesive applications. The recommended use level of the product is <20% of total resin weight.